We keep hearing about different types of cholesterol. It's all nonsense. There's only one cholesterol molecule, so there's only one type of cholesterol. What started this nonsense of types of cholesterol? None of them are cholesterol, and there is only one type of cholesterol! That's right. HDL, LDL, and VLDL aren't cholesterol. And cholesterol isn't a fat. All that nonsense bandied about to make you fearful that your cholesterol levels are too high ... well, unless they're the "right type" of cholesterol ... or maybe it's making sure they're at the right balance ... or whatever the latest fad among doctors happens to be ... It's all pure and utter nonsense. It's a cooked up jamboree of confusion, designed to put not only you, but also your doctor, off balance and disoriented so you'll buy into the idea that you really must take their poisons ... uh, drugs, or you could die tomorrow. The elements in cholesterol are 27 carbon atoms, 45 hydrogen atoms, and an oxygen-hydrogen pair. That's 27 carbons, 46 hydrogens, and 1 lonely oxygen. 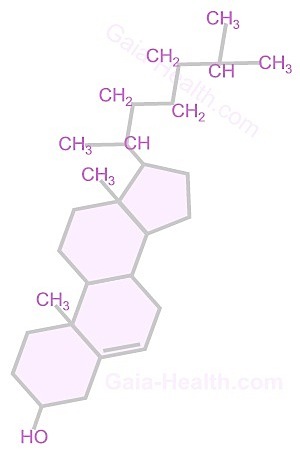 This is a cholesterol molecule. There is no other kind of cholesterol molecule. There is, therefore, only one kind of cholesterol. You can look and look, but you'll never find another model of a cholesterol molecule. 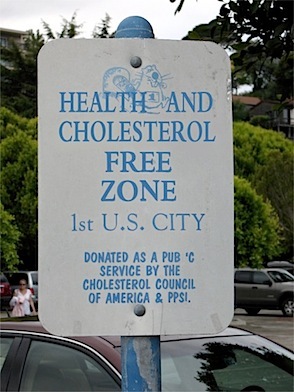 So where did the idea that there's more than one sort of cholesterol come from? Remember that cholesterol consists of three parts. Two of the three cannot be dissolved in water. Overall, that makes cholesterol incapable of dissolving in blood. Therefore, it requires a carrier to be transported throughout the body. That carrier is a lipoprotein. And that's where the idea that there are different kinds of cholesterol come from. Then, a series of experiments were done on lab animals2,3. Nikolai N. Anitschkow fed rabbits purified cholesterol, demonstrating that they developed atherosclerosis. Of course, rabbits do not naturally eat such a diet—but that little detail seems to have been ignored. So more such experiments were done on goats, hens, parrots, guinea pigs, pigeons, and rhesus monkeys. The same was attempted on dogs, but being natural meat eaters, it didn't work. Of course, this bit of information was ignored. From that point, modern medicine was hooked on the cholesterol-as-villain theory. The question is: Why? Why was it so important to accept obviously flawed junk science? Like any other industry, modern medicine wants to sell products, which means getting people to doctors' visits and pushing drugs. Treating cholesterol as a villain has led to a constant stream of people turned into patients, streaming into doctors' offices and getting drugs, primarily statins, but many others, too, as the drug-as-prevention idea has gotten rolling. So the pseudo science mills got to work producing faux study after faux study purporting to show how cholesterol causes heart disease. In that effort, they started to discover different "types" of cholesterol. Since that's obviously absurd, what exactly are they referring to? Photo by Sean Munson (with "HEALTH AND" added). Remember that cholesterol isn't water soluble? As a result, they need to be carried by something else to travel in the blood. Those things are lipoproteins, so named because they're a mix of fat (lipo-) and protein. As it turns out, there are different types of lipoproteins. So, when you hear about different types of cholesterol, what they're really referring to is lipoproteins that carry both cholesterol and fat to cells. This association of lipoproteins with both fat and cholesterol has led to the idea that cholesterol is a fat, but that is also untrue. There are several types of lipoproteins, more, in fact, than we're generally told. Ever hear of chylomicrons? Those are the biggest kind of lipoprotein—but we never hear about them because no one has figured out how to measure them in a blood test. Now that should tell you something about this whole cholesterol myth. Apparently, the only lipoproteins we're going to be informed about are those that can be measured. If they can't measure them, then there's no way to determine if you need a drug to raise or lower them. We don't often hear about VLDL (very low density lipoprotein). That's because no one's really figured out an easy way to measure it. When we are given a measure, it's nearly always a guesstimate, based on an assumed ratio with triglycerides. VLDLs carry fats in the form of triglycerides to cells in the body. They also carry cholesterol, but don't release it. When VLDLs have released most of the fat, they're called IDLs (intermediate density lipoproteins). IDLs release more fat to cells and become LDLs (low density lipoproteins). LDL is what's meant by bad cholesterol. There are indications that after LDLs have distributed their cholesterol, they become small enough to burrow into the linings of arteries and oxidize, thus resulting in the inflammation that's so damaging. Whether this is true or not, it's quite clear that cholesterol is not the issue. In any case, LDLs disperse cholesterol molecules to cells where they're needed. HDLs (high density lipoproteins) are often called "good" cholesterol. They have several functions, including the transport of cholesterol. However, rather than transport it to cells, HDLs transport cholesterol from them and back to the liver, where the liver determines whether to recycle or dispose of it. The liver is in control of how much cholesterol is in your body, not lipoproteins. Among HDL's functions is to carry anti-oxidative enzymes. This could explain why HDL is the seen as good: it may help neutralize potential harm done by depleted LDLs' oxidation. Cholesterol has been demonized. Yet the more it's demonized, the more heart disease we've seen. Obviously, something's wrong with the the theory. Unfortunately, entrenched interests won't let it go without a fight. There's simply too much money riding on this false hypothesis. So, more and more details are discovered, resulting in more and more distinctions in so-called types of cholesterol—in spite of how obviously absurd the concept is. There is one, and only one, type of cholesterol. This one type of cholesterol is critically important for survival. It's required to make Vitamin D3. which is required for brain and nerve function. Without it, you can't form memories, so it's no wonder that statins, which interfere with cholesterol formation, can harm memory. Cholesterol is required to form corticosteroid, testosterone, and estrogen. We need cholesterol, and interfering with it results in devastating health effects. It should come as no surprise that statins produce so much harm . Truly, if you value your health, you will ignore the warnings about high cholesterol levels. Unless you suffer from hypercholesterolemia, a congenital defect, the chances of having excess cholesterol are fadingly slim. If you have a problem with lipoproteins, reducing cholesterol isn't going to help, and taking statins, which do reduce cholesterol as they claim, could do terrible things to your health. Just remember that cholesterol isn't measured by blood tests. Lipoproteins are, and they aren't cholesterol. This page contains a single entry by sal published on March 1, 2013 3:06 PM. Breast Cancer: Iodine Therapy May Put Cancer Into Remission was the previous entry in this blog. Do Vegans and Vegetarians Need To Consume EPA and DHA Omega-3 Fatty Acids? is the next entry in this blog.